Hello, lovelies~ A couple of months ago, Kylie Jenner took the internet by storm when she posted her thick, luscious lips for all to see. I'm not someone who is following the current trend, but she wore a shade of mauve that caught my eye. Mauve shade lipsticks have never been in my collection, so all the more reason for me to try it, lol. I tried finding the picture of Kylie wearing that shade of lipstick, but I can't. However, I can tell you that after hours of searching online, I found out that she was wearing Brave from MAC. 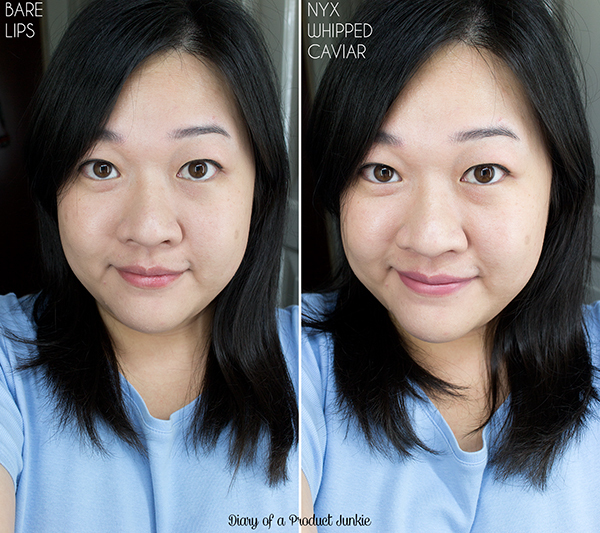 Since I didn't want to spend tons of moolah on a lipstick that I am not sure of, I went to look for the dupe for said lipstick from MAC and found one from NYX called Whipped Caviar. Needless to say, I purchased it almost immediately. There is a sticker for the name of the shade underneath the lipstick casing. The lipstick casing is quite different compared to some of others I have in my collection. 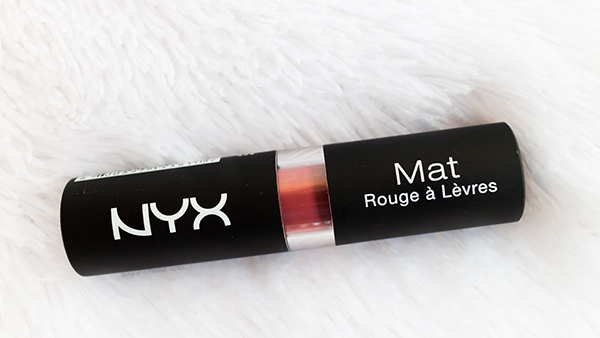 Similar to that of the NYX Butter Lipstick, it has a small transparent window to view the color. Whipped Caviar is a dominant mauve lipstick that has a hint of reddish brown. At least, that's how I saw it when I swatched it on the back of my hand. Hopefully, the photo above can show how mauve-y it is after hours of editing it. On my lips, it combined with the natural reddish brown color of my lips, so it balances out the mauve tones nicely. 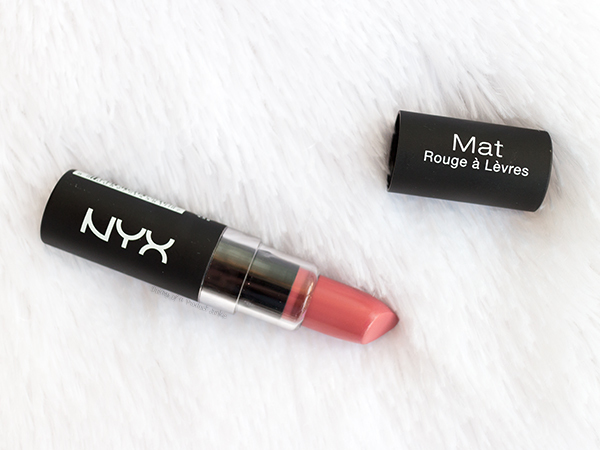 Despite it being matte in nature, it doesn't drag on my lips and doesn't dry out my lips like crazy. 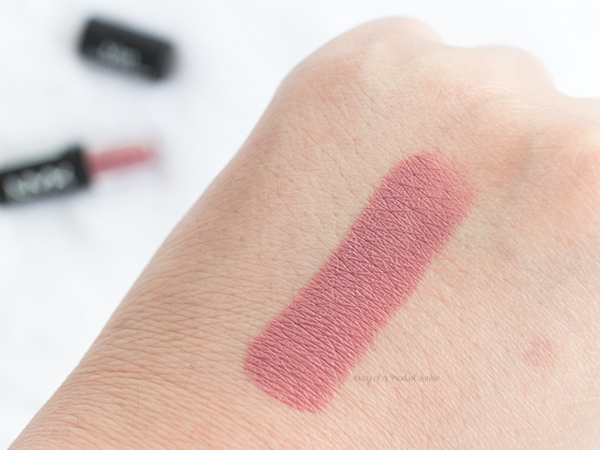 The lipstick has a nice pigmentation that it gives an opaque finish with just one to two swipes. It stays longer compared to buttery/moisturizing lipstick, but it will still be gone with a (full on greasy) meal.